Earn up to 462 Points. 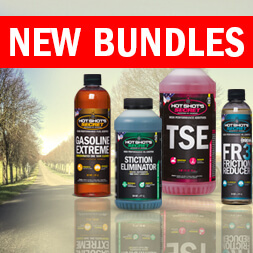 Recommended for ALL gas & diesel engines. 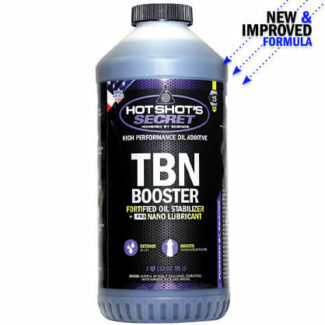 Hot Shot’s Secret FR3 is a lubricity enhancing oil additive that increases the lubricating & wear reduction properties of the host oil. The product contains patented synthetic lubricants that have unique lubricating properties even compared to PAO or mPAO synthetics of the same viscosity. The anti-wear component of the formula is a patented carbon nano particle that fills in microscopic irregularities on the machined surface to provide a smoother surface for the lubricating film to form. The synergy of these components extends the base oil performance in shear stability, oxidation stability, film strength & especially friction reduction. Use one treatment of FR3 every oil change. Semi-trucks, pick-up trucks, farm equipment & autos. 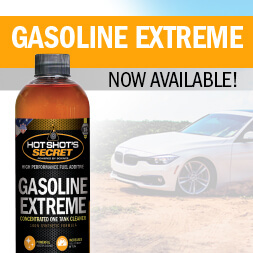 Effective in all engines including: Ford Powerstroke, Dodge Cummins, GM Duramax, Saab, Volkswagen, Audi. You can use FR3 to treat any oil-lubricated system except air conditioning and aircraft. 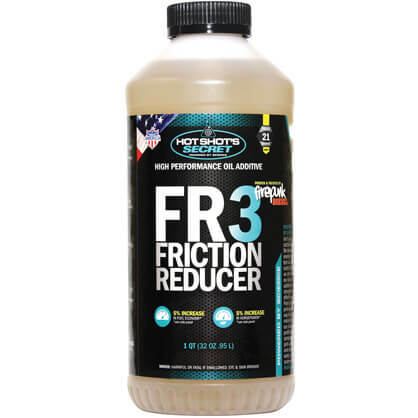 Even though FR3 is an industrial product, you’ll find that small two cycle engines love it; just add FR3 to your oil before mixing it with the fuel. Your automobile, light truck or other personal vehicles will benefit from FR3 in the engine, power steering unit, and differential. I have been using this product for years (Friction reducer) and have had no engine problems in our 13 mowers and 7 trucks. Please explain the correct use and intervals between the Stiction Eliminator and FR3. I’m picking up a 93 Cummins dually with 170K one owner excellent condition. The guy never used this great product. I plan on giving it the full HOT SHOT treatment. Please advise Me what you guys would do? 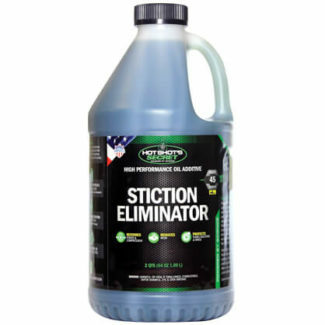 Hi Gary, please replace 2 quarts of oil with Stiction Eliminator on the first oil change, followed by 18 oz of FR3 for 2 oil changes. Then, 1 quart of Stiction Eliminator followed by 18 oz of FR3 for 2 oil changes, and repeat. Hope that makes sense, thanks! says gas or diesel, but not automatic transmissions? So only manual?